Yes! In the last couple of years I had developed quite the preference to Google products. Google addict since 2009... and THIS blog is just part of my artillery. And not to mention Gmail, You[Tube], Google Voice, Droid... among others... I'll touch just the surface here, and I encourage you to check the products and services for yourself and come with your own opinion. 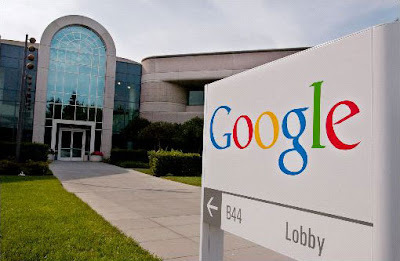 Blogger, previously known as blog*spot, was the first Google related product I started using (9/30/09) and the one that headed my steady transition towards favoring other Google Services and Products. Unless you count You[Tube], which I joined just short months before the acquisition by Google. But, of course, in order to create a blog I needed to have an email account. I can't remember if it was already into effect then, but I could had used my current email account, but saw this as an opportunity to give Gmail a try. Now they offer you even more options to sign up for a blog, I encourage using your Gmail account or OpenID... which lets you sign from other blog platforms if you have a blog elsewhere. Let me tell you a little about the differences between the two versions of the platform, Blogger and Blogger in Draft. When you first sign up for your blog, you are automatically sent to the most recent public (stable) version of Blogger. While I do recommend this option for those who recently sign up for a blog, no matter on the skill level of the individual, to get familiar with all the tools and gadgets available to enhance their blog. You may, however, switch from the public Blogger to the 'BETA' version... Blogger in Draft. There, in the Draft version, the Blogger Team will release for testing and trials new and/or planned features for you to try out, provide feedback to the programmers and hopefully, you helped make an idea or feature available for the general public sooner thus so they may also make use of an awesome feature and/or gadget. When I joined You[Tube] (3/23/06, eight months prior to acquisition), the initial objective was to subscribe to great content providers. My first were some channels providing tutorials, from origami to cooking, and so on. Shortly thereafter, I uploaded what was a recap of a fundraiser concert I helped organize for the local Youth Ministry. Since then, I've uploaded content to a couple of channels that are being updated inconstantly, but when there's a new video, you sure will find it interesting. My first channel is SilverBlueFire and this channel is dedicated to Ministry. The current project being shared there is Benefit Concert and Spirit Rally from the Filipino Young Adult Ministry at UCI. A second channel was created to showcase all completed projects that required more time invested on them, short videos, or promos. mghtychfprdctns, I had to take all the vowels from MightyChiefProductions since the character limit didn't allow me to have the name that I wanted. Enter, Gmail (9/28/09)... the free electronic mail service of choice for many. When Gmail first became available to the general population, I wasn't too impressed by it, my previous email service provider was working for me just fine. Nevertheless, like stated above, Blogger presented me with the chance to try it out and form an honest opinion about it. It wasn't too long before I realized that "just fine" wasn't working for me anymore. Gmail offered more security and peace of mind, I quickly found myself logging in to Gmail more often than I did logging in to my other email provider. The difference were just to grand, while the other has been always cluttered and spammed, it was an enormous relief to come to a clean and non-invasive inbox. Thanks Gmail team! I started using Google Chrome (10/? ?/09) every once in a while whenever I would make changes to the blog to make sure it displayed correctly on most of the web browsers available at the time. Now, the built-in security and the smoothness of Chrome has made it my only choice to browse the internet. Ever since mid-2010 I stopped using other browsers completely, and by 2011... the only browser installed has been non other than Chrome. I haven't found the need nor curiosity to re-install any additional browser at all. Along came the Droid (11/26/09)... one of the main reasons to acquiring such a device was so that I could take full advantage of Google Voice. And the free text messaging, plus taking a fully synced calendar and contact list. 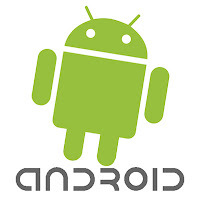 It wasn't long before the Android became integral not only for personal but for network purposes. There not much to say about it, it is best experience through one's own contact with the devices. I personally like the variety, and the opportunity to find the perfect partner that best fits your personality, none of that monotonousness. One of the features that sold me on to signing up for Google Voice (12/05/09) was Call Forwarding. The ability to send calls to multiple phones was only something big corporations could do, now WE can too! Besides Call Forwarding, the option to send free text messages to anyone in the States is just what I was looking for... just waiting for Free International Text Messaging. 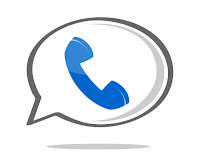 One of the amazing features from Google Voice is that you can assign a personalized "Greetings" to any contact or group for when they call and you are not able to pick up the call. You may assigned a professional sounding message for a group like "Co-Workers" or comical ones for individual contacts; for instance your best friend, your girlfriend/boyfriend, your parents, etc. And if you get unsolicited calls, you may block them no matter what telephone number they're calling, your Google Voice number or your mobile number. Oh, and if you sign up for Google Voice, I recommend getting a different number... that frees you from updating your contacts every time you renew/change your mobile number. Google+ (7/06/11) is now the norm for what used to be Google Profiles, but to a whole new level... Social Networking. Before Google+ (Google Plus) was released globally, I used to have two profiles tied with Google... the main one which was in par with the email, and the blog one which was accessed through the "Author" link on the blog and posts. Thanks to this social network approach by Google, both profiles have been consolidated in one place. Many would compare the features and structure of Google+ with other existing social networking sites, I would like to invite you to experience for yourself first hand this networking site and make your own conclusions about it. Spending time with it and blocking out other's negative opinions. Also, while you are there, check out the recently launched Google+ Pages. A piece of advice: DON'T let others manipulate your life, take control of your mind and make your own conclusions on life.